Get ready for some major binge-watching of the greatest "show about nothing." According to The Wall Street Journal, Seinfeld is coming to Hulu, and while the exact terms of the deal weren't shared, a source with knowledge about the deal told the news outlet it cost around $700,000 a episode. 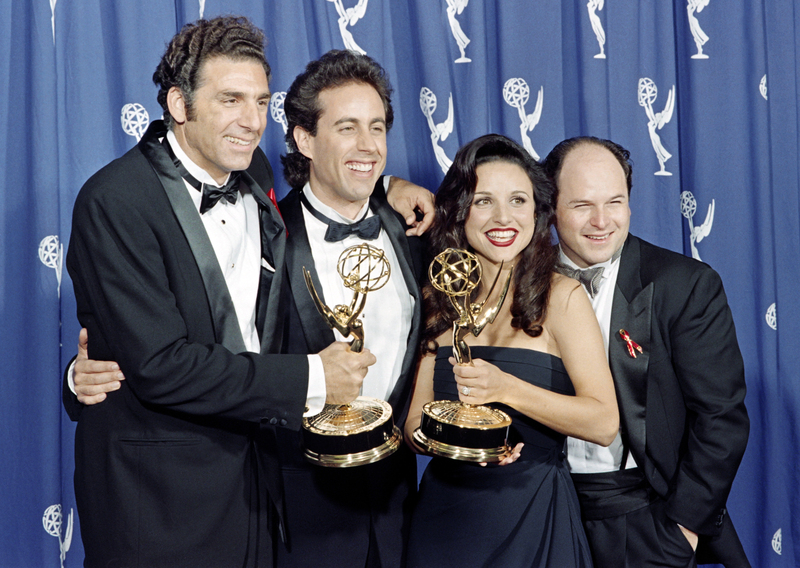 Let' s see, based on those numbers, with 180 episodes across nine seasons, Seinfeld would have costed Hulu about $126 million to host the reruns, making it one of the biggest streaming rights deals in history. The NBC comedy, which ran from 1989 to 1998, follows the pretty humdrum lives of Jerry, George, Elaine, and Kramer as they point out and analyze average comings and goings in New York. And — yada, yada, yada — it became one of the most critically acclaimed comedies of all time. With its memorable lines and moments, Seinfeld showed us that the mundane is okay so long as you got some friends to enjoy them with you. Now that Seinfeld is coming to Hulu, Friday nights just got a whole lot cozier with your newest group of pals. Grab some pretzels and score some soup — if you can, that is. Happy Festivus!